In the midst of winter, sailing and boat work are likely the furthest things from the minds of many northern boat owners. Even though the time to start pulling off winter covers may seem like forever away, launch day will come faster than you think. Here are some things you can start doing now to get your boat back on the water as soon as spring is here. The best way to start any spring preparation is to make a list of projects (big and small) you would like to complete along with a rough timeline. Map out the tools and equipment you'll need and a schedule for boat work days to avoid the last minute rush as the start of the sailing season nears. A word to the wise…if you’ve never done a certain type of project yourself before, be sure to check with local riggers and boatyard experts for their pro tips before proceeding. It's also fun to include sailing trips and regattas with key dates on your list so you can start sorting out travel and crew schedules while you anticipate the season ahead. One way to make the spring preparation process more manageable and fun is to involve your crew and family. It's a great way to bring your team together, giving them a sense of belonging and creating more loyalty. Working with your crew and/or family members helps everyone get excited about the upcoming season. It’s best to start the season with a clean cabin. If not completed in the fall, it's a good idea to remove any unnecessary items from the cabin, give it good scrub and look for damage. Your crew and passengers will not only appreciate this when they are below deck, but keeping things clean and repairing minor damage early will prolong the life of your cabin. Next, restock and organize your boat. Take an inventory of the things you like to have on hand. From extra sail ties, to tape, and from towels to sunscreen, now is the time to make sure you have the staples you need for the season. The start of a new season is the perfect time to make sure safety gear is fully stocked and in working condition. Check expiration dates for items like flares, fire extinguishers, inflatable lifejackets and rafts as these need to be serviced or replaced over time. 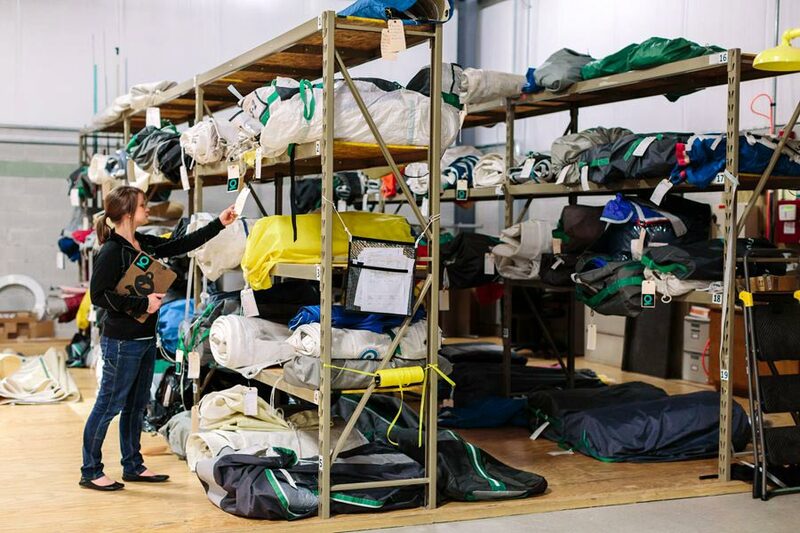 Take time for a quality control check of regularly used safety items and repair or dispose of any outdated gear appropriately. Replenish first-aid kits–it's amazing how fast the bandages get used! You can get a lot of great information about safety and regulations here at the US Coast Guard’s Boating Safety site. With your boat out of the water, it's the perfect time to make sure the bottom is in good condition. Each year, the bottom should be lightly sanded to smooth away any imperfections from previous paint jobs and any aquatic species that may still be attached to the hull. It’s best to apply multiple coats of antifouling paint to the bottom, especially in high-wear areas such as the bow or the leading edge of the keel and rudder. This ensures adequate coverage to the entire hull and adequate antifouling protection through the end of the season. This is especially important if you plan to have someone dive and/or wet sand the hull regularly. If you haven’t done so already, spread out your sails and inspect every inch looking for rips, tears, pin holes and frayed stitching. If you don't have the space or are short on time, bring them by one of our lofts and our service technicians will be happy to give them a thorough inspection and alert you to any issues. As spring nears, sail lofts become very busy. You can avoid delays and the last minute rush by dropping off any sails that need repairs or modifications in the next few weeks. Likewise with new sail purchases. Starting the process now with your local rep will ensure you'll be ready with a complete inventory on launch day. Click here to easily schedule service online or click here to request a quote to fill out your inventory. Make sure all deck hardware is working properly to avoid any issues while out sailing for the first time. Also inspect all standing and running rigging for damage. All halyards should be checked for any new wear or chafe areas, and should be replaced if the damage is too great. You don’t need brand new line, but you should make sure that it has low stretch and is not at risk of breaking. Also, all standing rigging and their connections to the mast should be checked for any corrosion, broken or separated cable strands, and cracks. By doing this now, you can avoid having a major catastrophe that can lead to a possible ruined season. As you tackle your to-do list, be sure to engage with the marine professionals in your community who can help ease the load or provide you with advice and tips to ensure the best results. Let us know what we can do to lend a hand and we hope you enjoy a season of trouble-free sailing!